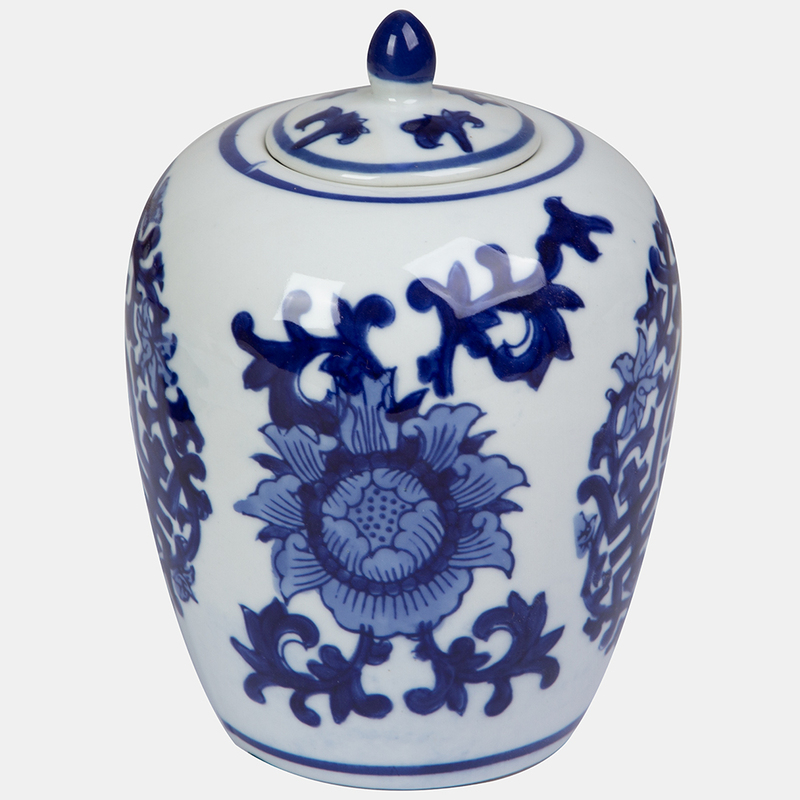 Fill your home with vibrant and Chinese-inspired pottery, thanks to the Dynasty range by Avalon. Crafted from ceramics, this collection of blue and white patterned pieces feature fierce dragons, mysterious aquatic worlds, swirling flowers and Chinese characters, all with a glossy finish. Sprawling design of swirling flowers and Chinese characters. Includes a small matching lid. Three anti-scuff pads on the base. Dimensions: Approx. 15.5cm (h) x 11cm (w) (Including Lid).